Home » Animals » Aquaculture » Small aquaculture systems: the simpler, the better! Small systems like this produce small volumes of small fish. Many people get involved in aquaculture experimentally; they are keen to try it out and hope to develop it further if it proves attractive. There is nothing wrong with this. But problems can arise if it is done the wrong way. 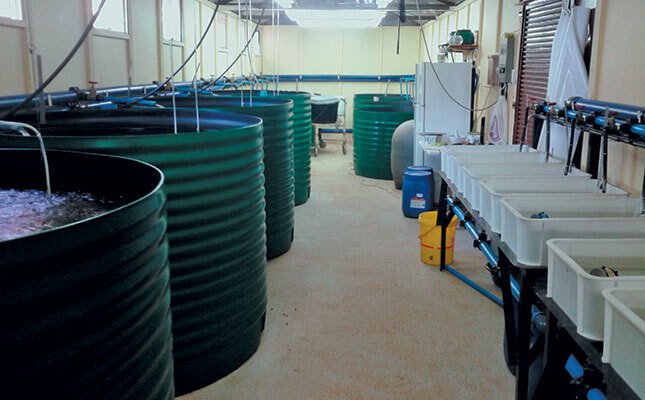 A small recirculating aquaculture system (RAS) is often the preferred option for people reluctant to commit to something with a larger footprint. The trouble is that a small, but complex system, like this may not be viable because there is no economy of scale. 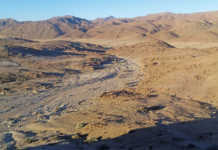 A small, earthen pond of 0,25ha, which is both simple and cheap to build, is likely to provide a better annual return than a small RAS system. In rural areas of Africa, Asia and South America, most people considering aquaculture would begin with a small earthen pond. Today, this is likely to be far removed from the subsistence-type ‘pond’ widely promoted in the 1960s, which was usually stocked with poor- quality fish of unknown ancestry, fed on kitchen scraps. Unsurprisingly, 99% of these failed to produce significant yields. The typical ‘small pond’ of today is about 0,25ha in area, fully drainable, and stocked with all-male Nile tilapia of an improved genetic strain sourced from professional breeders. The water is fertilised to increase primary productivity (zooplankton and phytoplankton, all natural food for the fish), and the fish are pellet-fed with good-quality fish feed. The expected annual yield from such a venture may well be between 3t and 4t of similarly-sized tilapia. 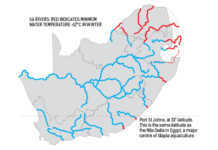 Admittedly, these systems are weather-dependent, so are suited to warmer areas. But even in South Africa’s hot summers and cool winters, they can still utilise the eight warmer months to produce significant yields. Now compare these simple, yet effective, systems with the RAS so often seen in the peri-urban environment of this country. Townsfolk, it seems, love plumbing! Any system that looks like a scaled-down Sasol oil-from-coal plant must be good, or so it is widely believed. Thus, backyard and starter systems often have elaborate rows of plastic tanks, all coupled to machines that clean and oxygenate the crystal clear water. These include drum separators, drum filters, degassers, oxygen cones, oxygen generators, swirl filters… the list goes on. To justify the cost of not only setting up, but operating, this technology, the stocking rate has to be very high, up to 30kg/m3 water or even more. Now, how much would a small (say, 30m x 10m) tunnel-based system like this produce if run competently? The answer: exactly the same as the humble pond system: between 3t and 4t of tilapia annually! Both are seasonal systems, with seasonal production. It is not financially viable to heat either to the optimal temperatures of between 28°C and 30°C to sustain growth and production all year round. The running costs of the recirculation system, however, will be high, whereas that of the pond will be low. The construction costs of the pond system will be about 40% that of the other.